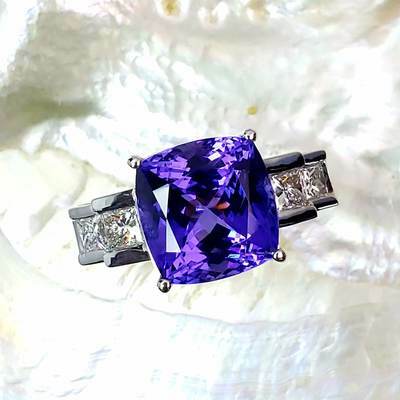 Tananite is a beautiful stone, most famous for its beautiful trichroism- meaning that it exhibits 3 different colors when viewed from different angles. 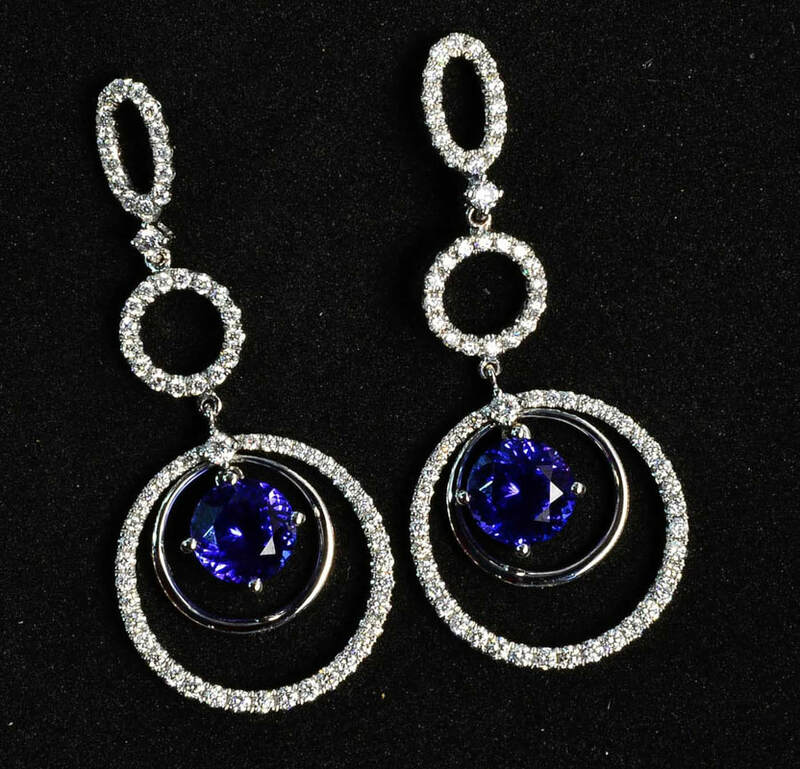 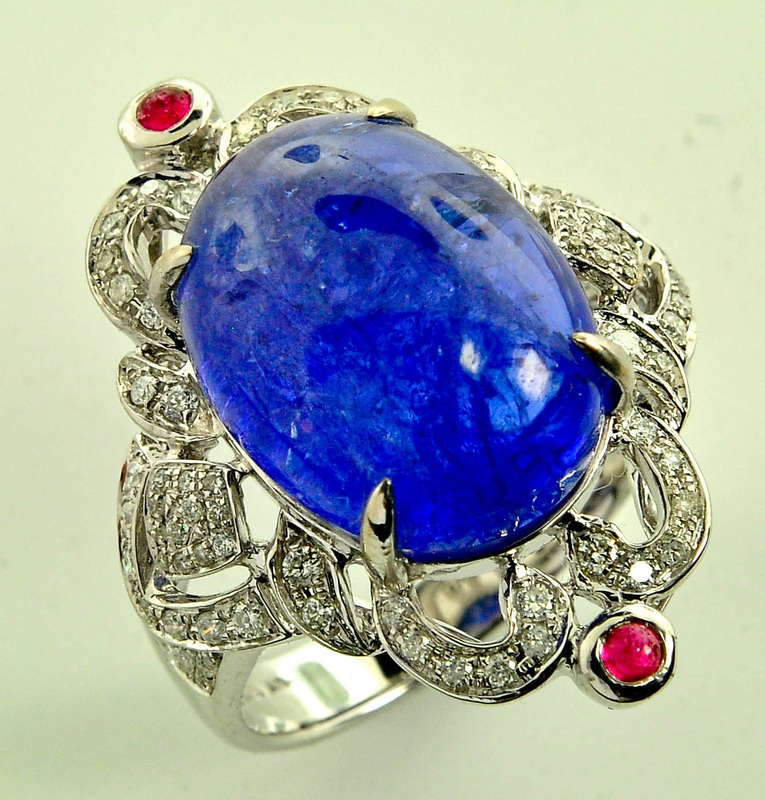 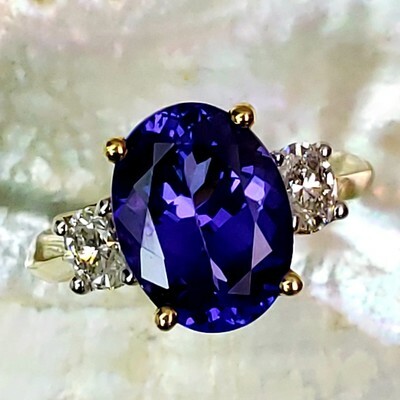 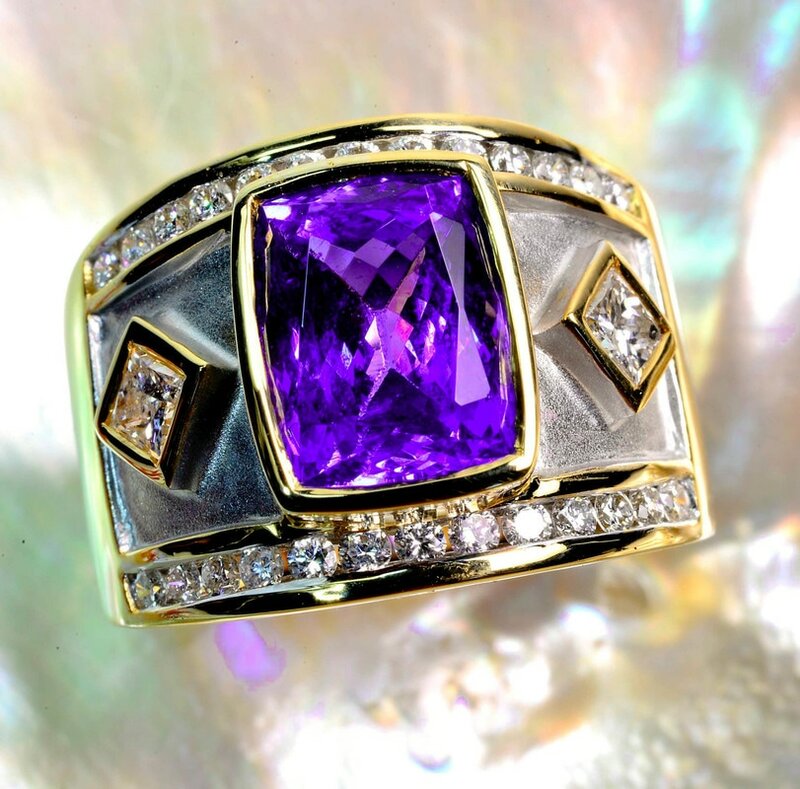 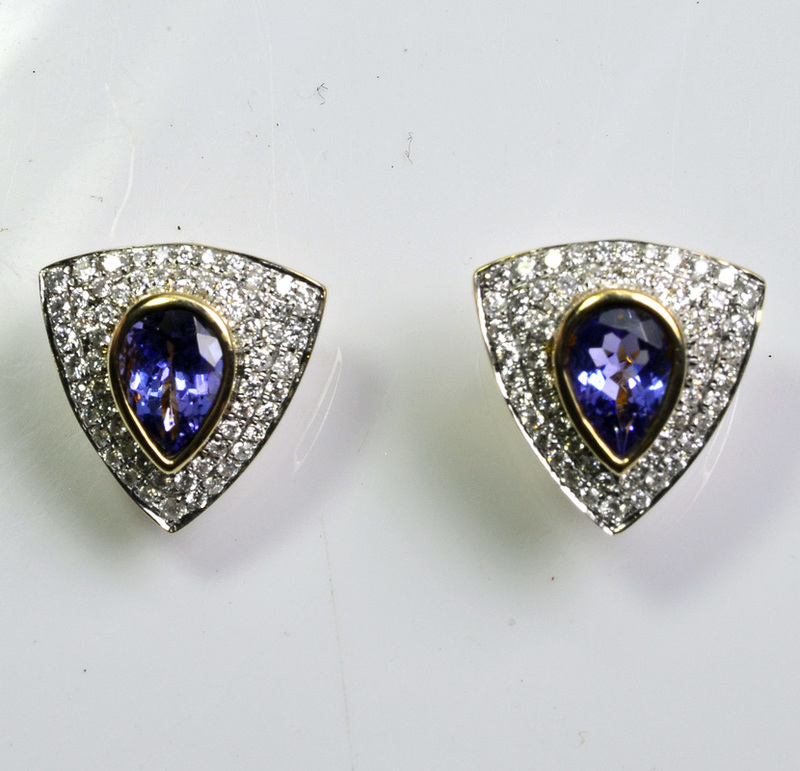 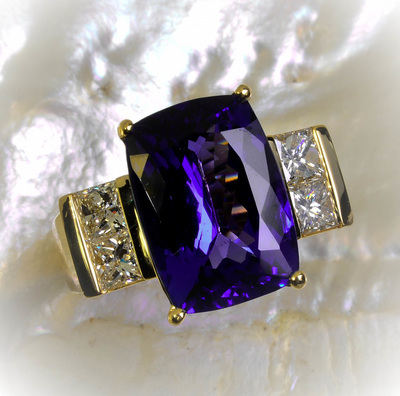 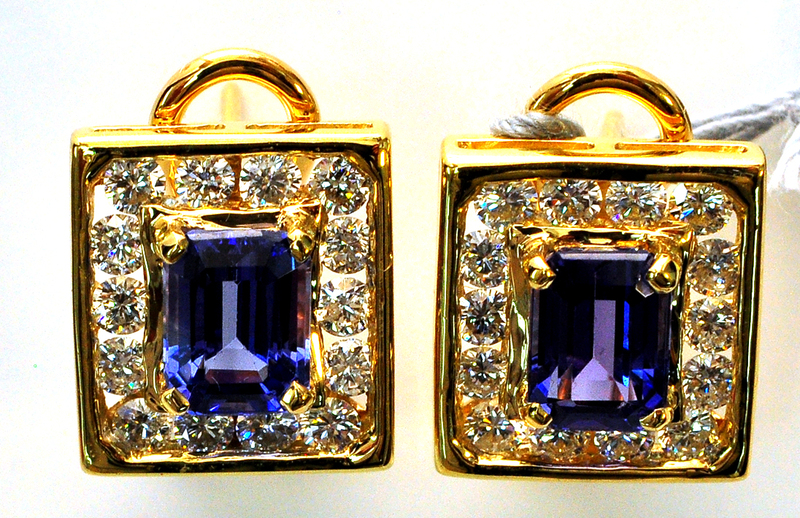 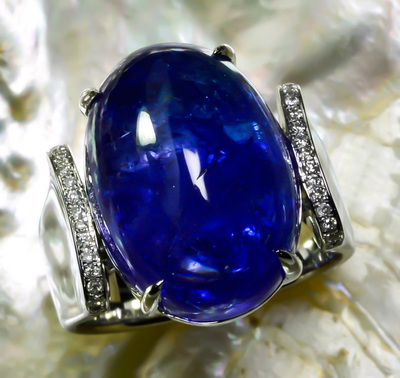 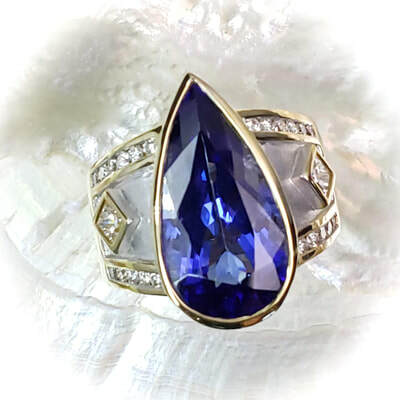 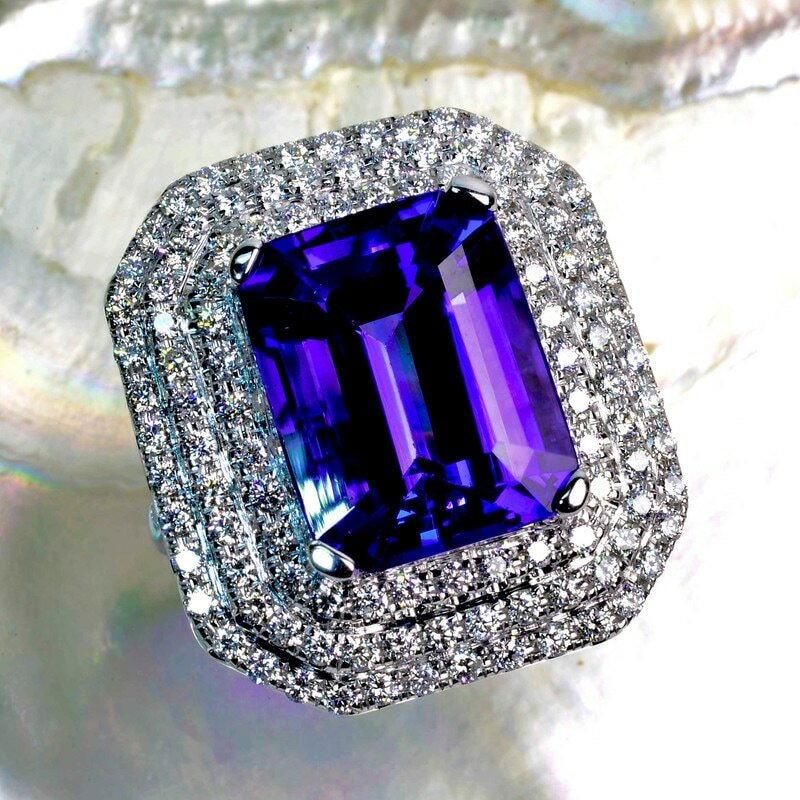 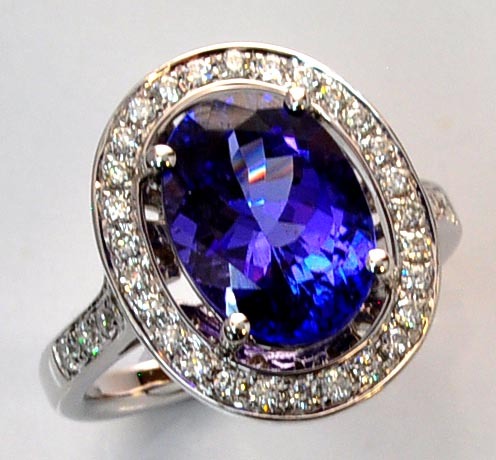 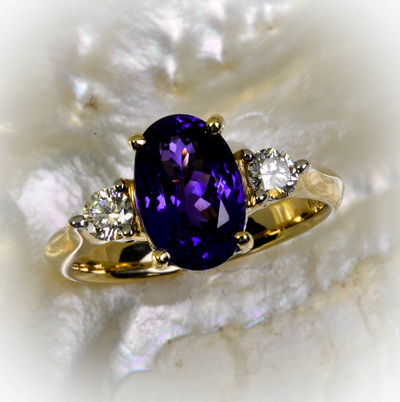 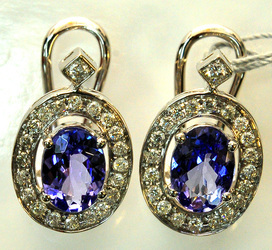 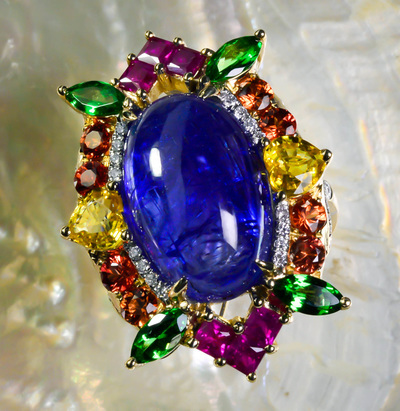 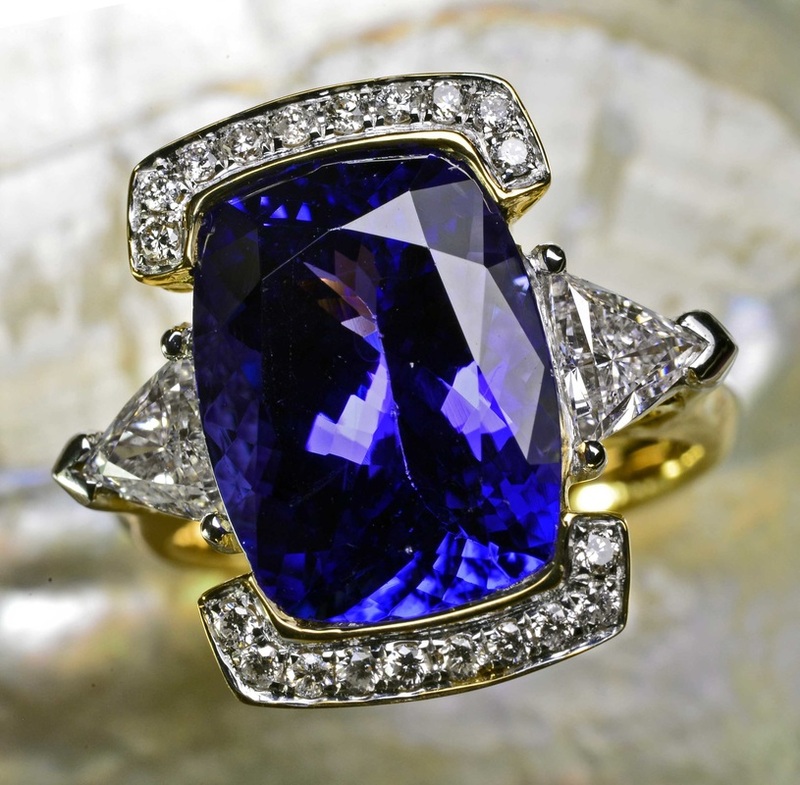 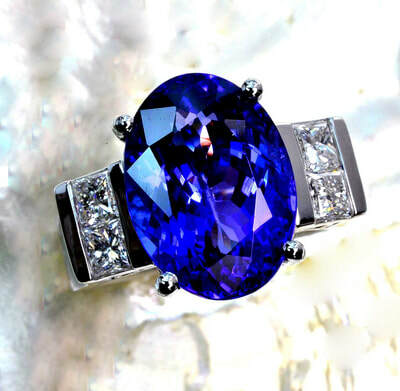 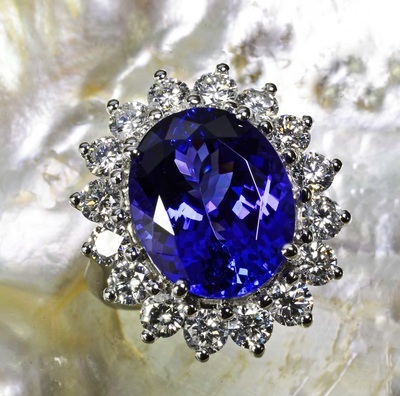 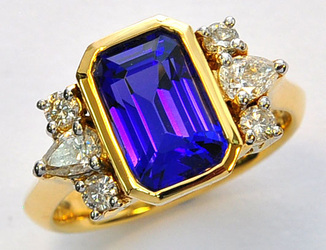 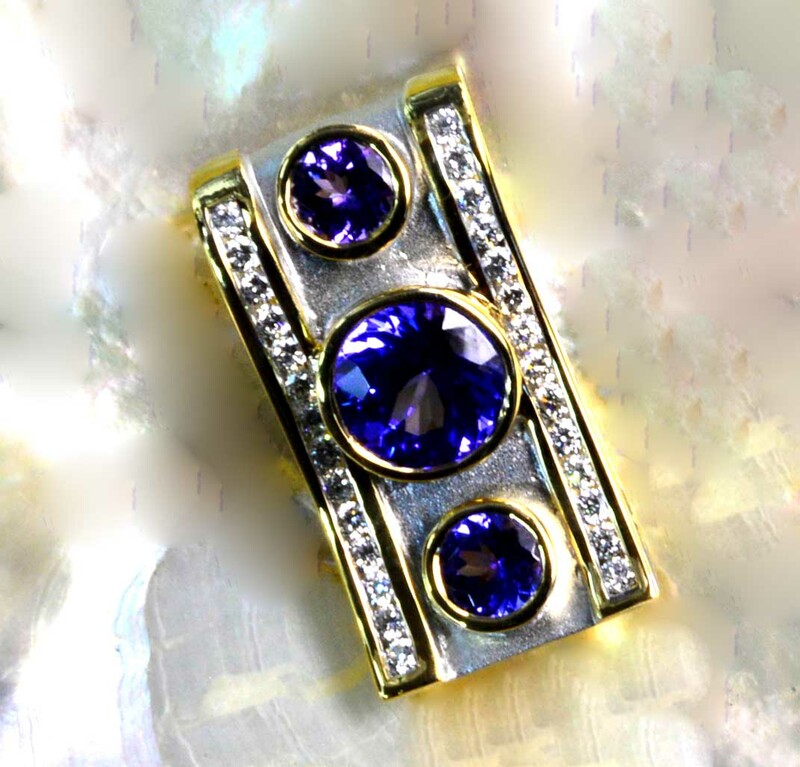 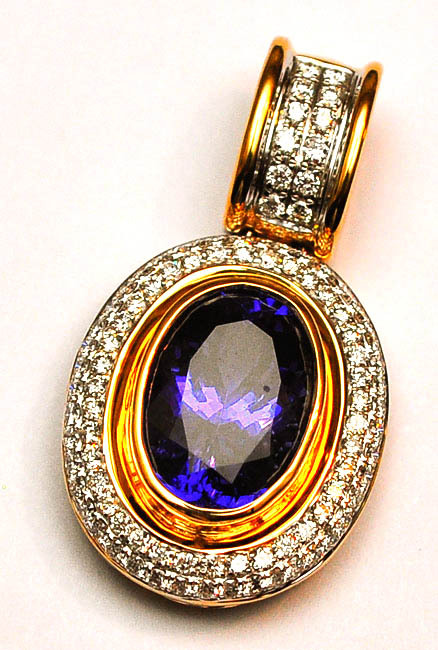 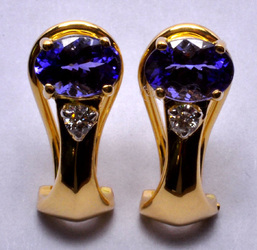 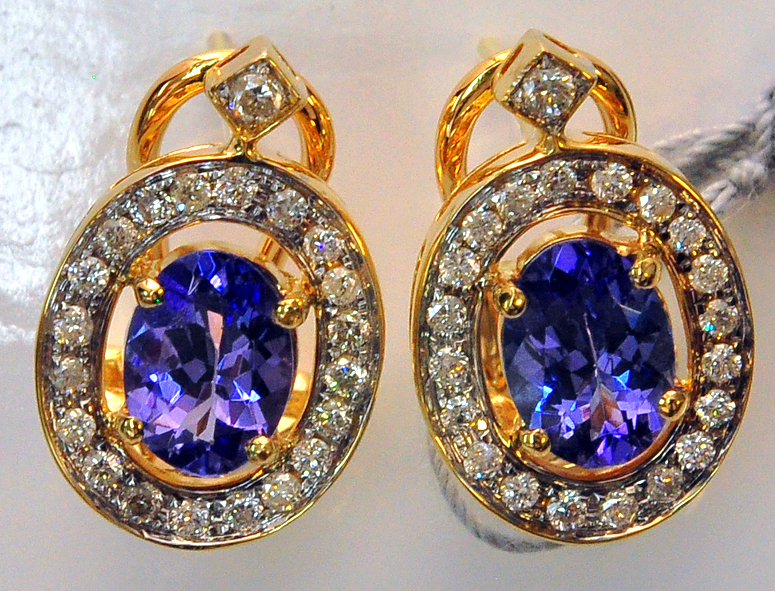 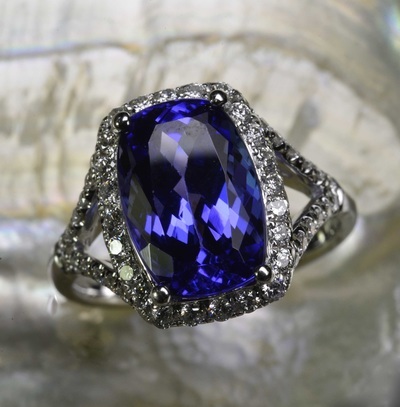 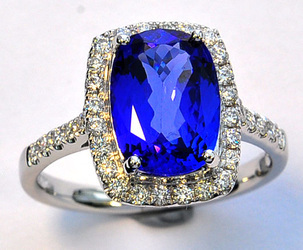 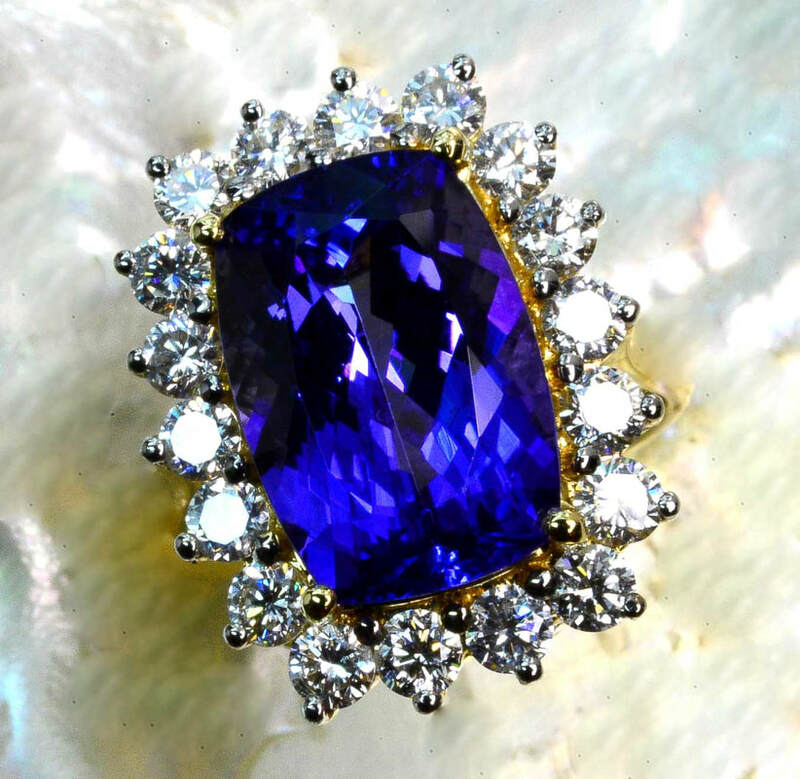 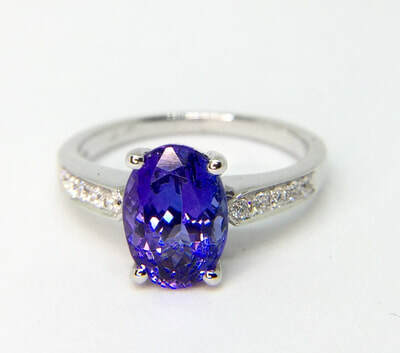 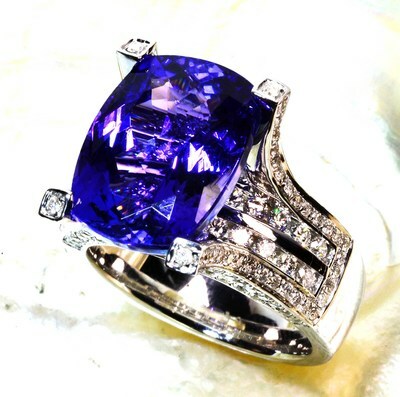 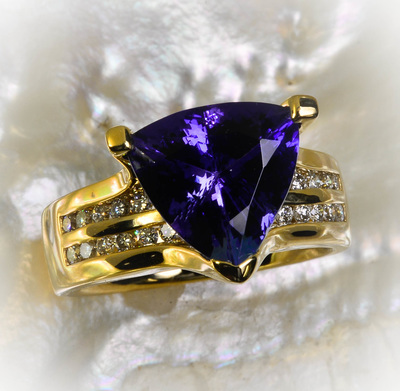 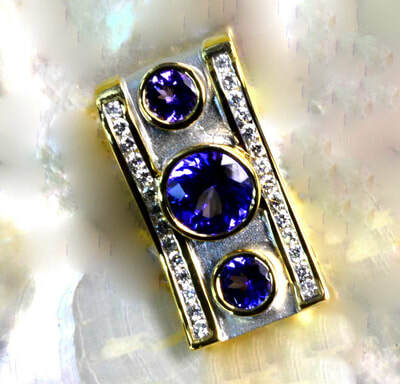 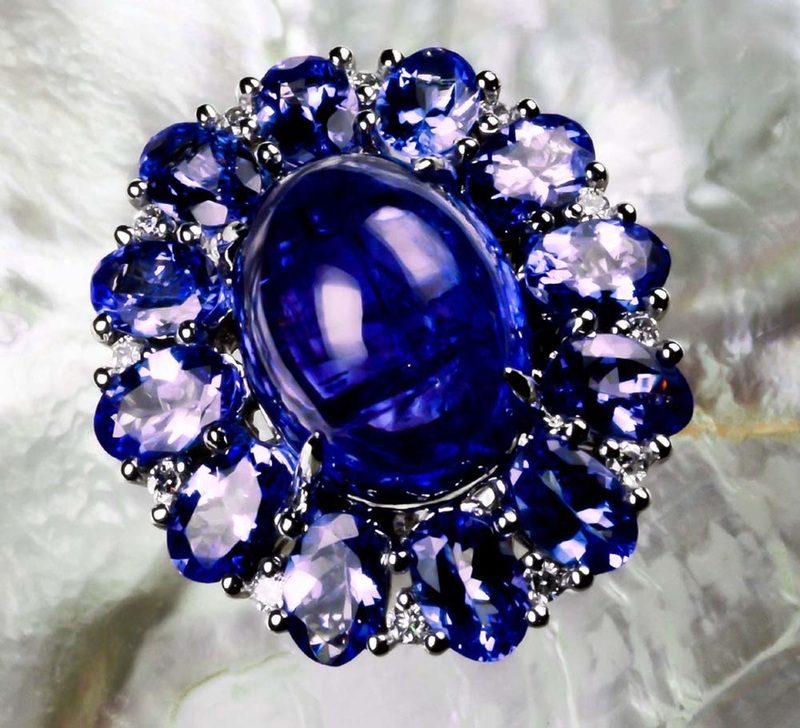 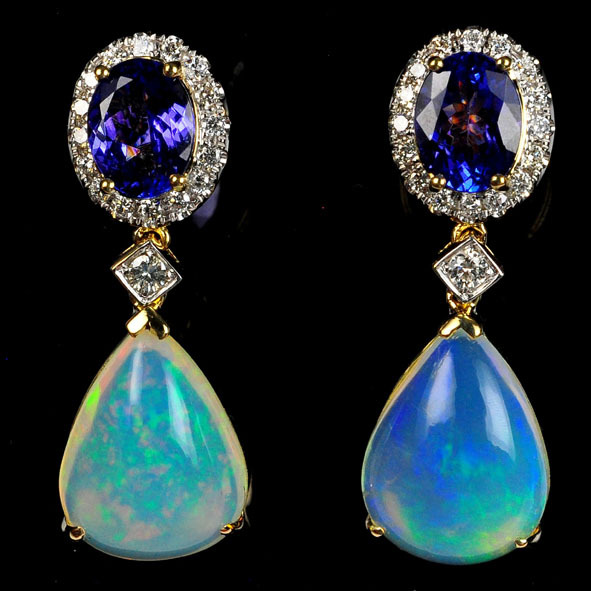 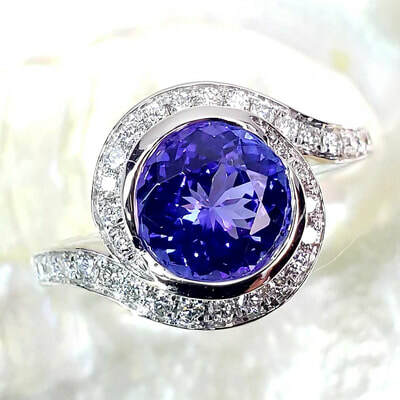 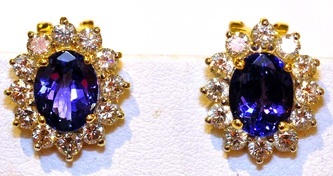 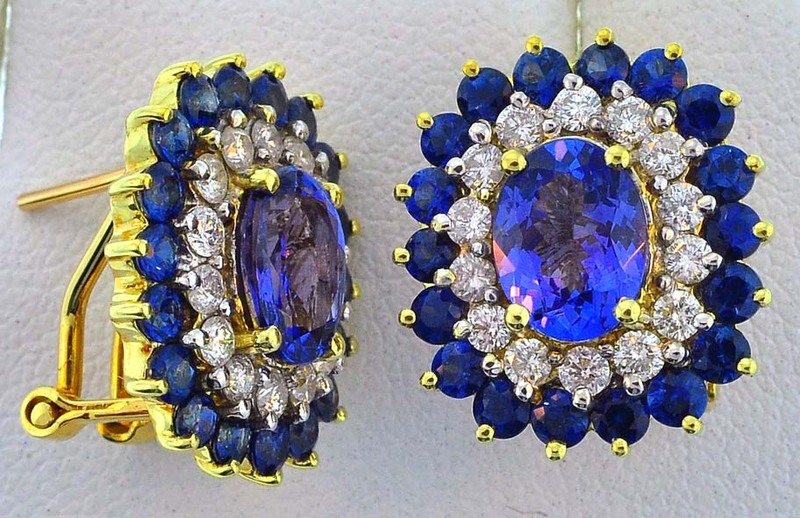 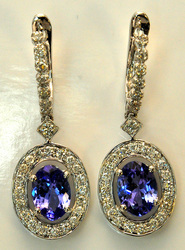 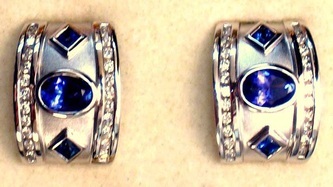 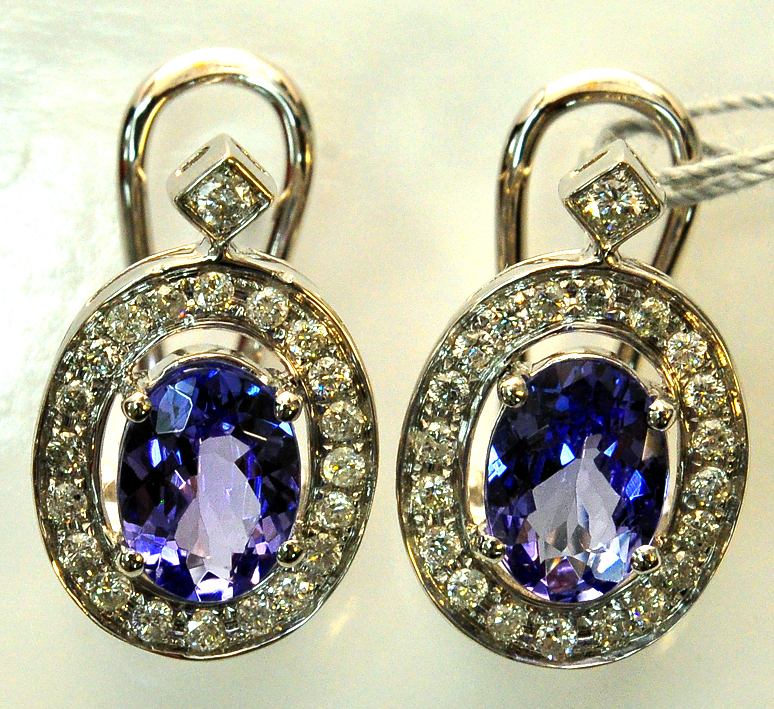 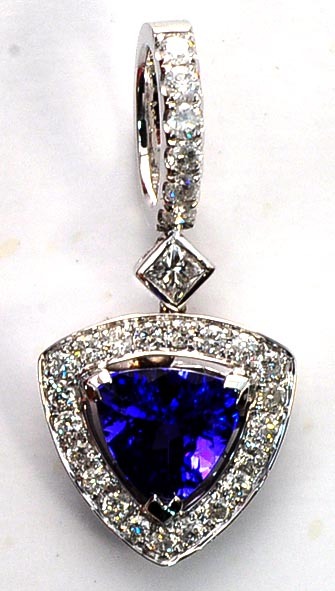 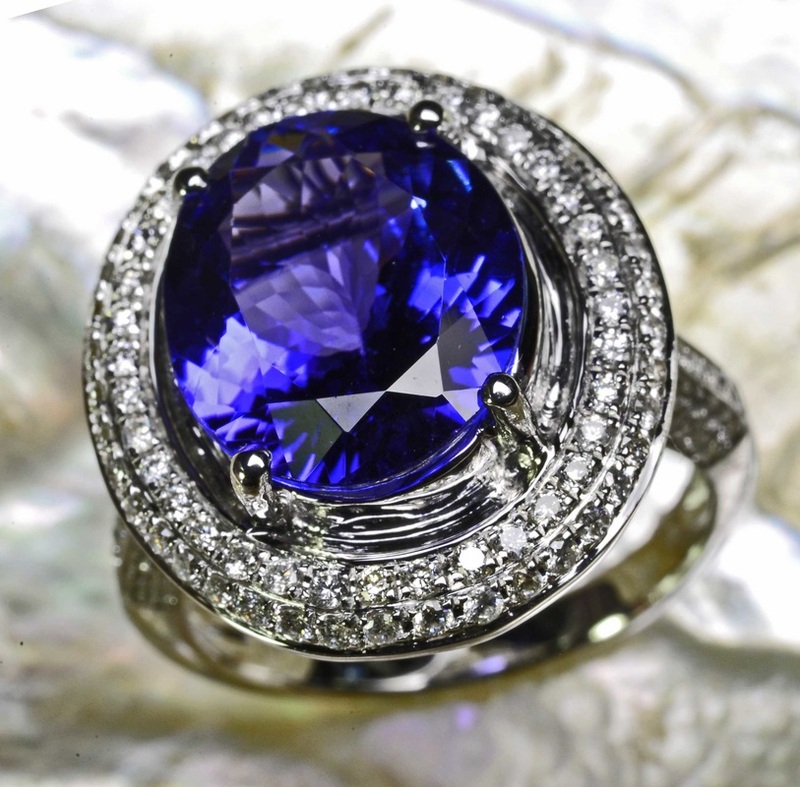 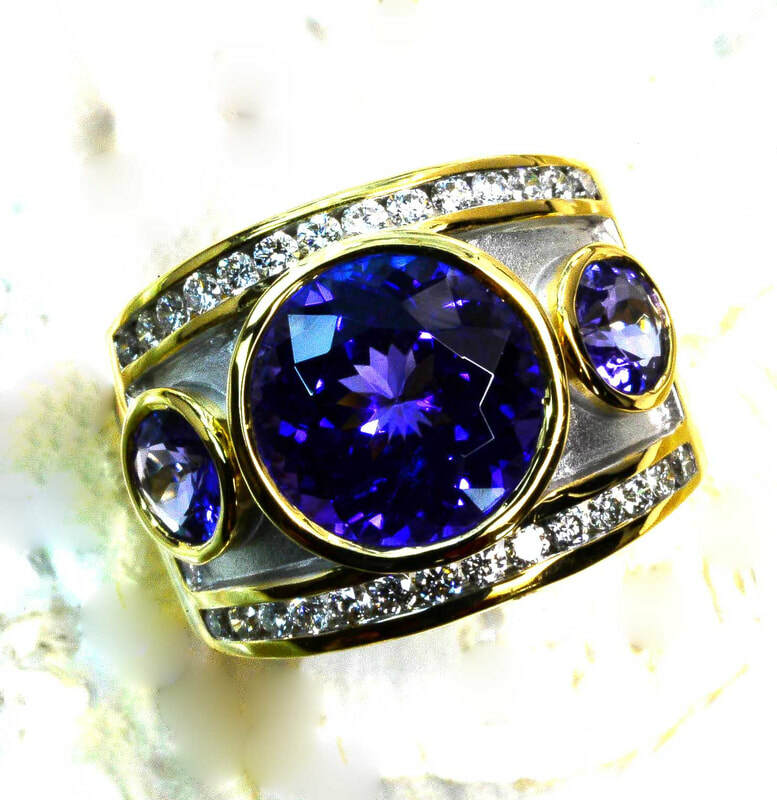 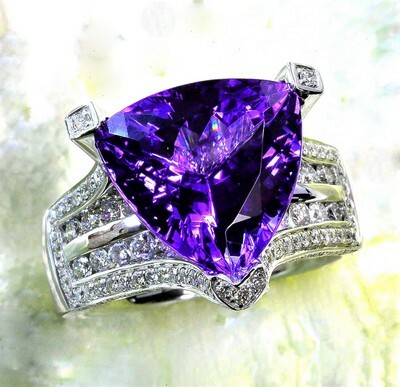 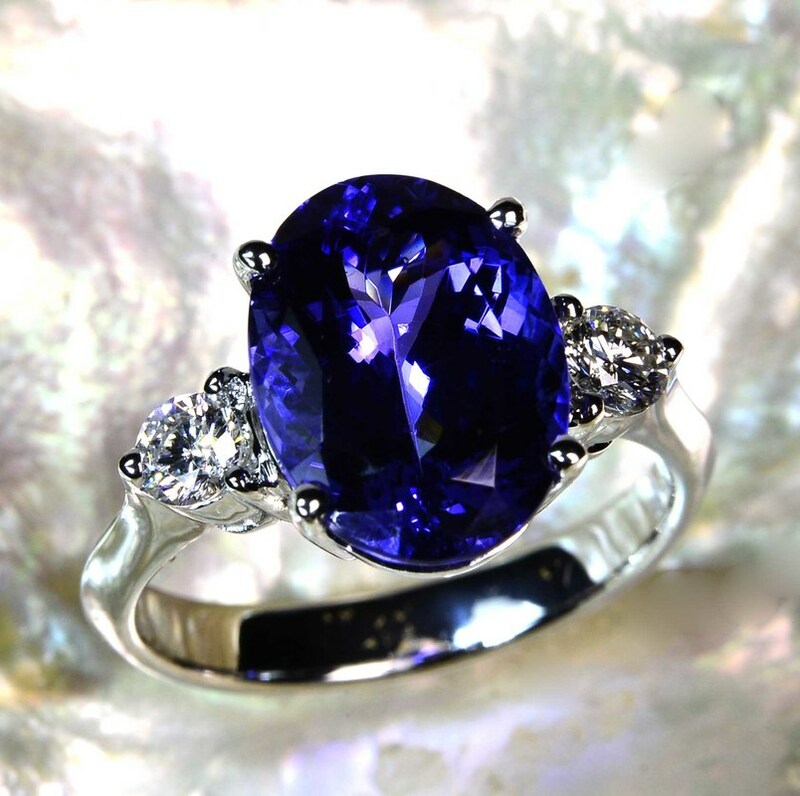 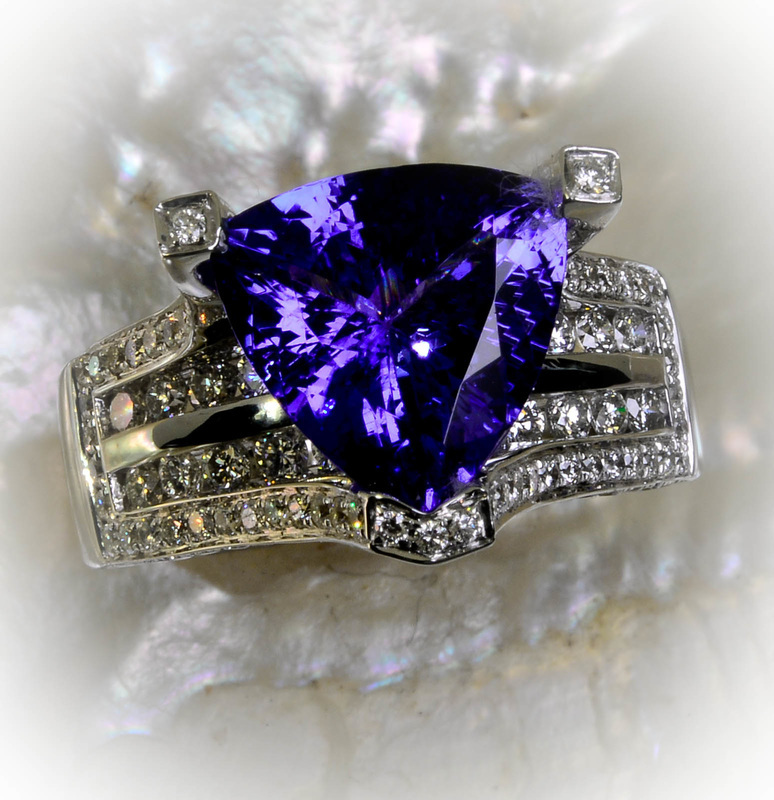 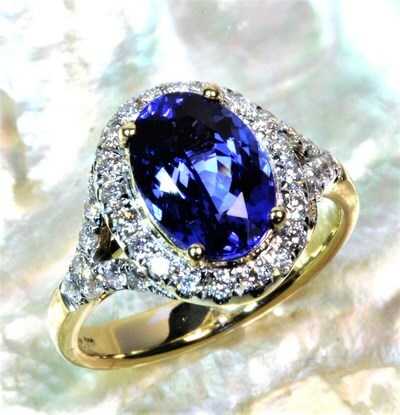 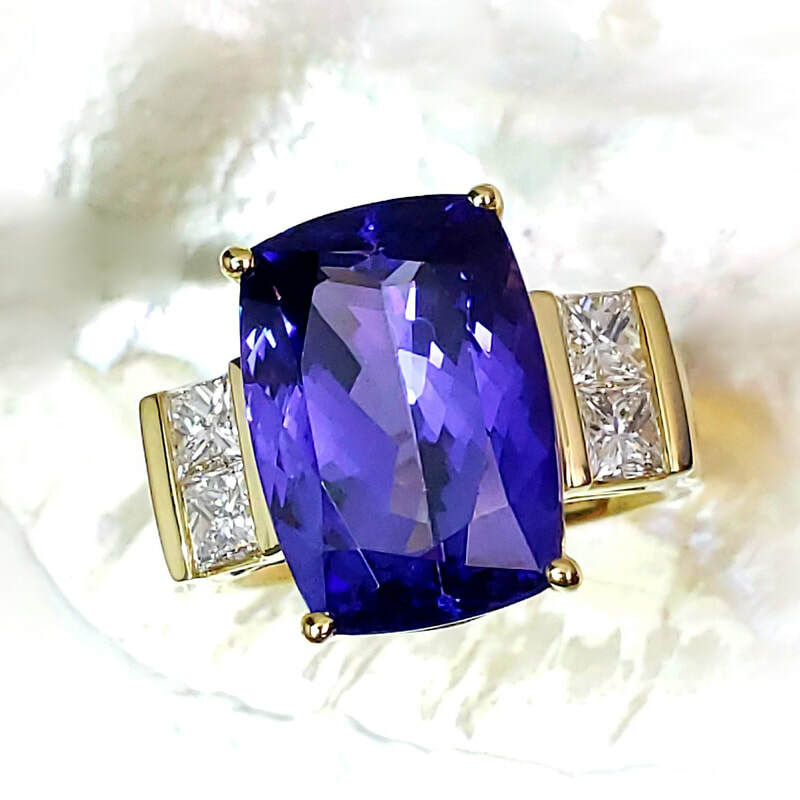 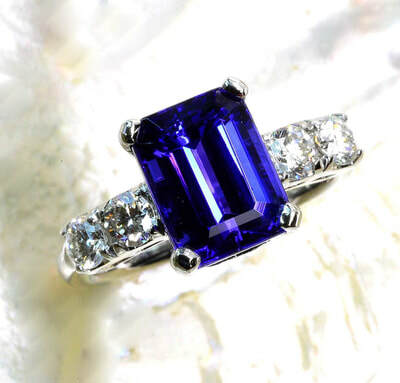 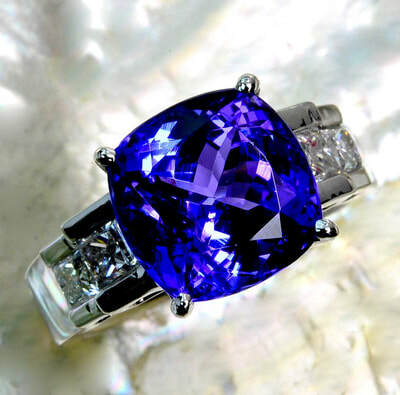 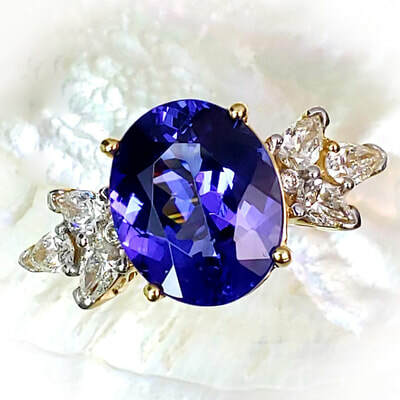 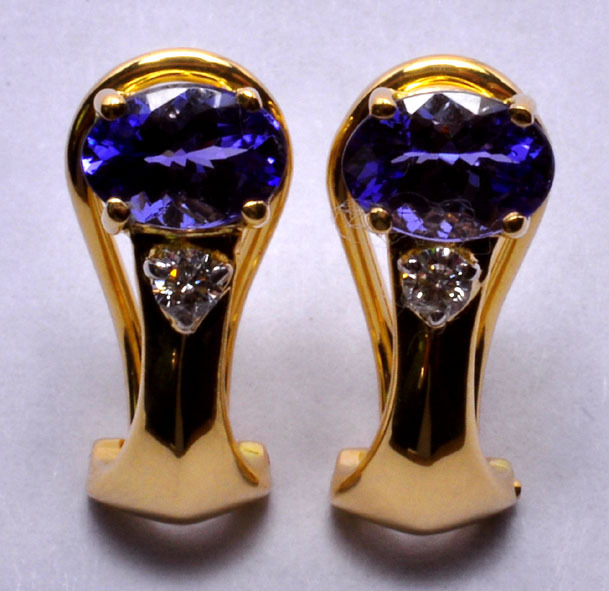 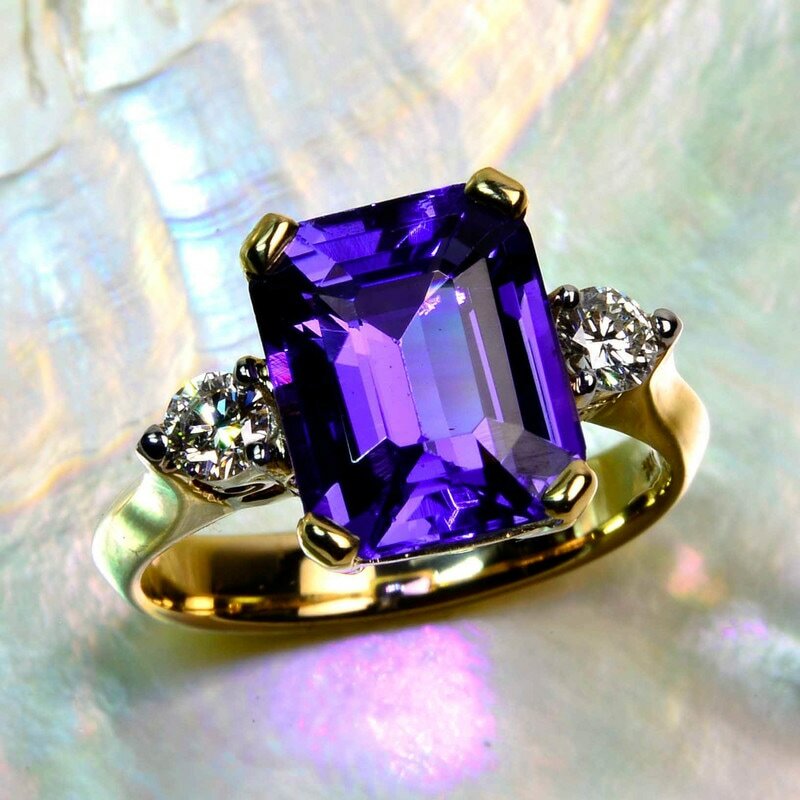 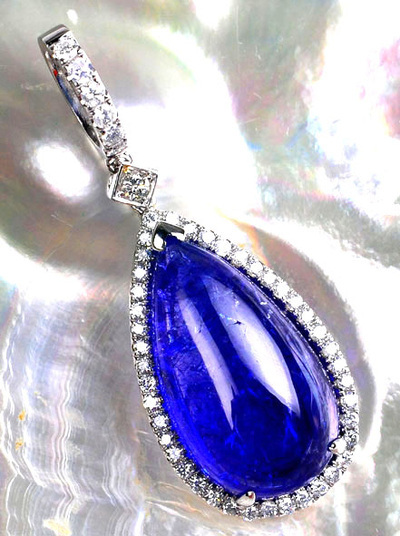 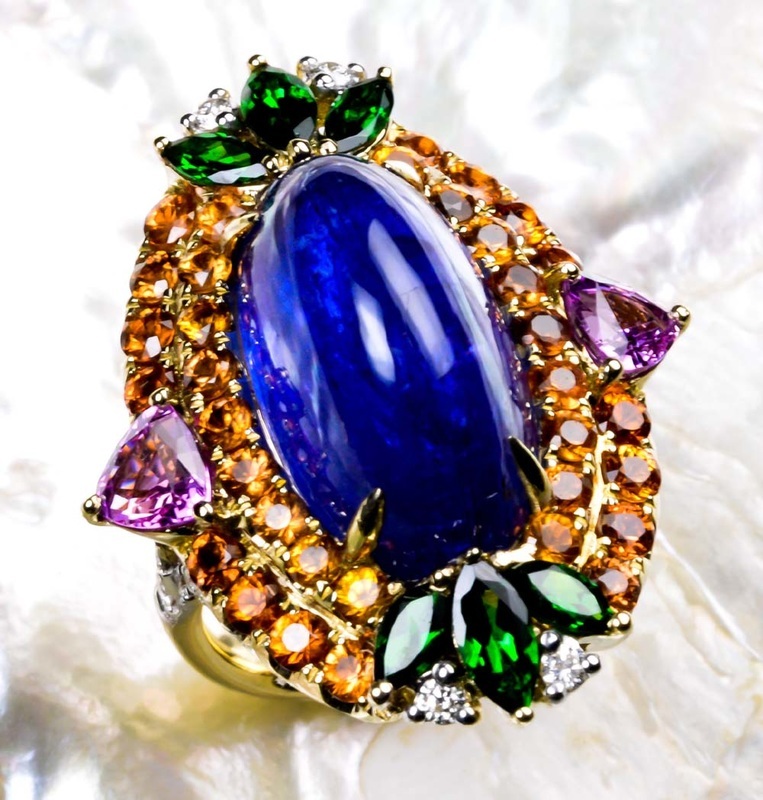 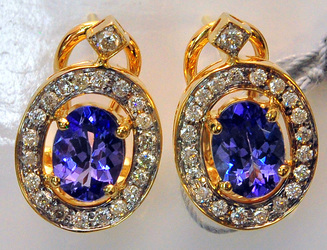 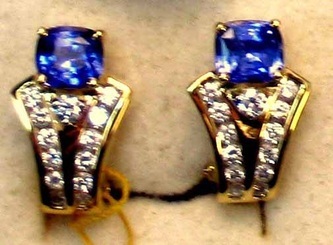 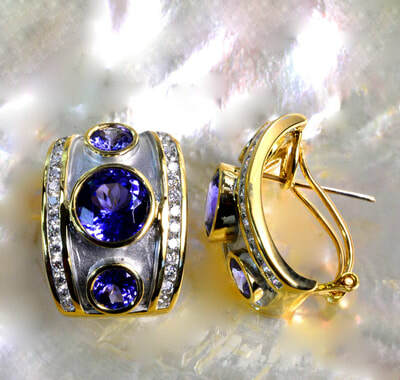 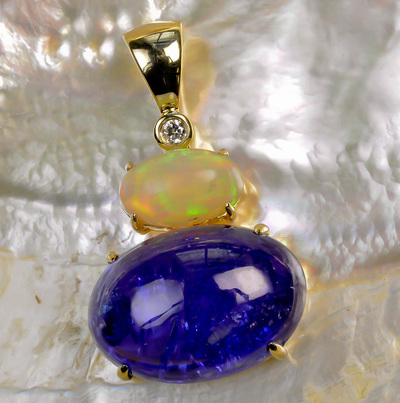 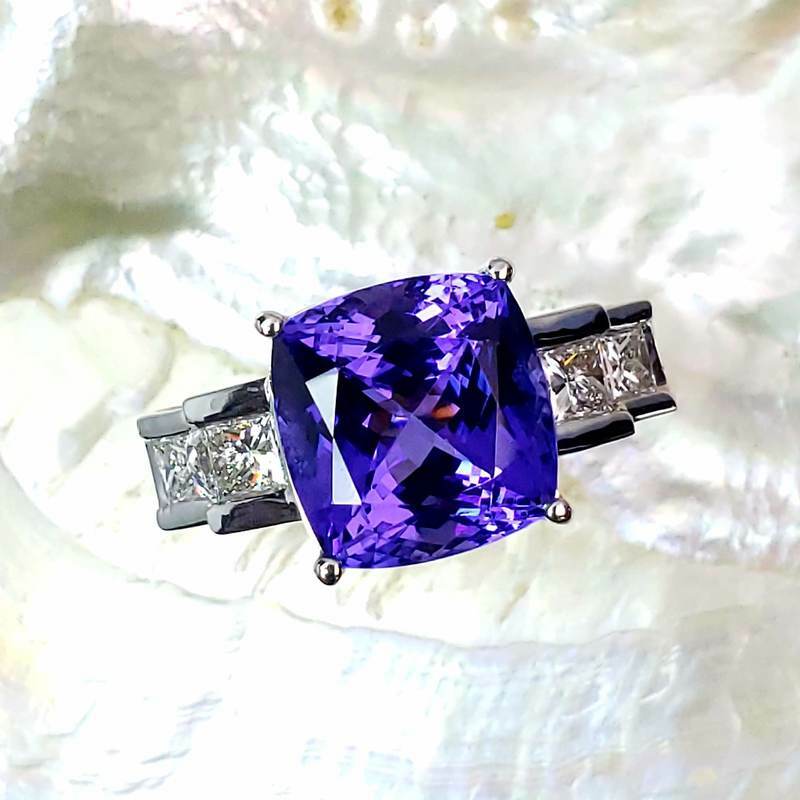 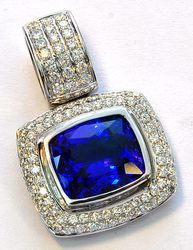 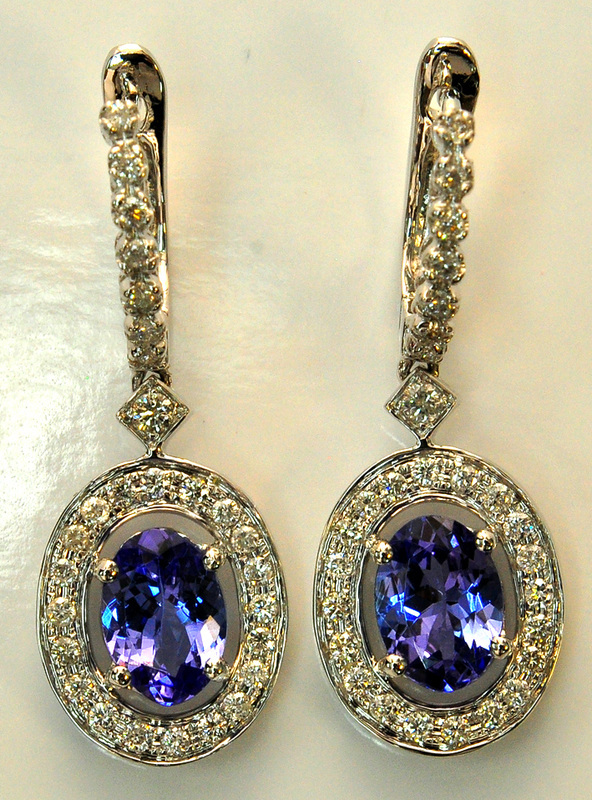 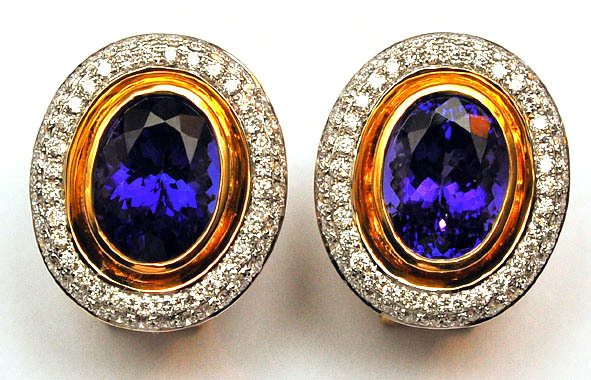 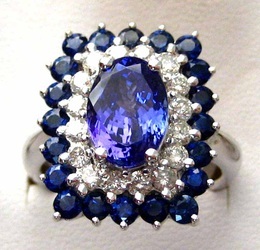 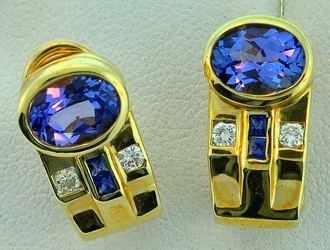 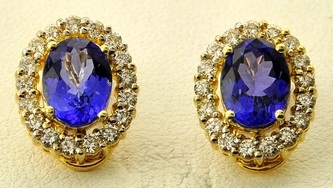 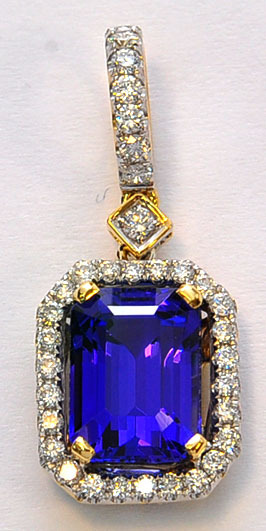 The very best Tanzanites will have a deep blue purple color with flashes of pink or red. 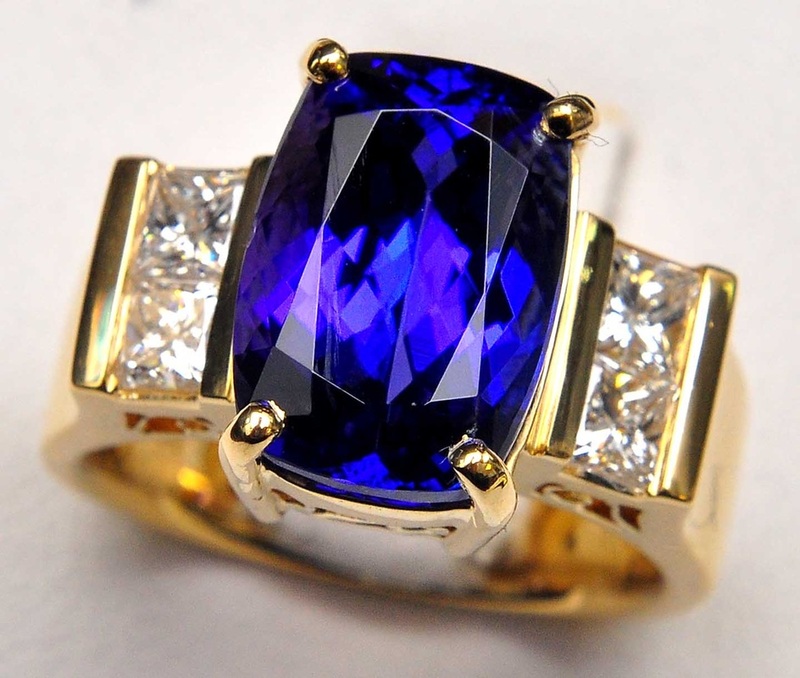 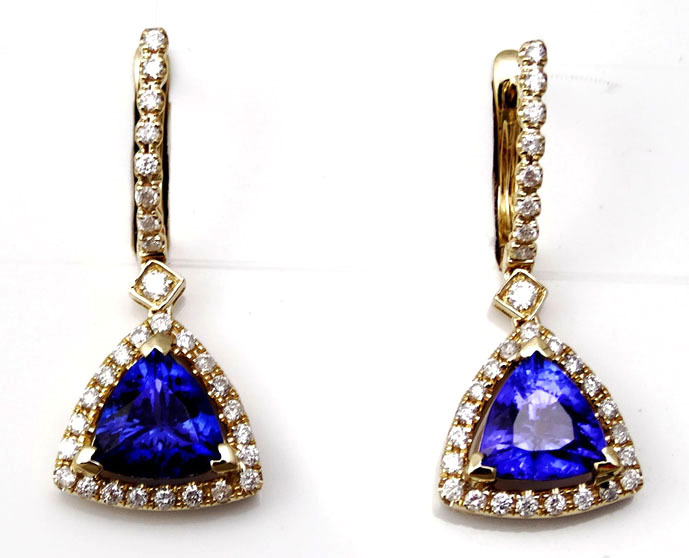 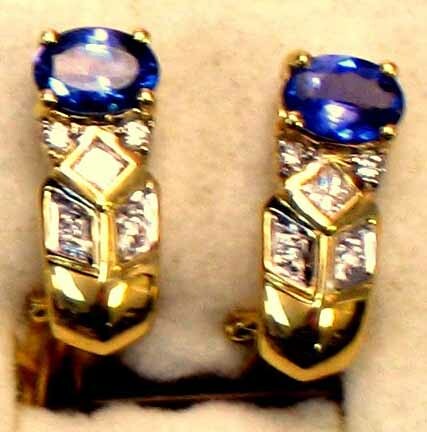 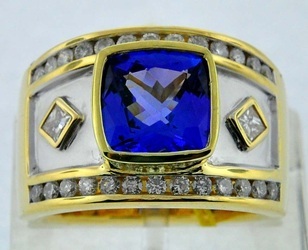 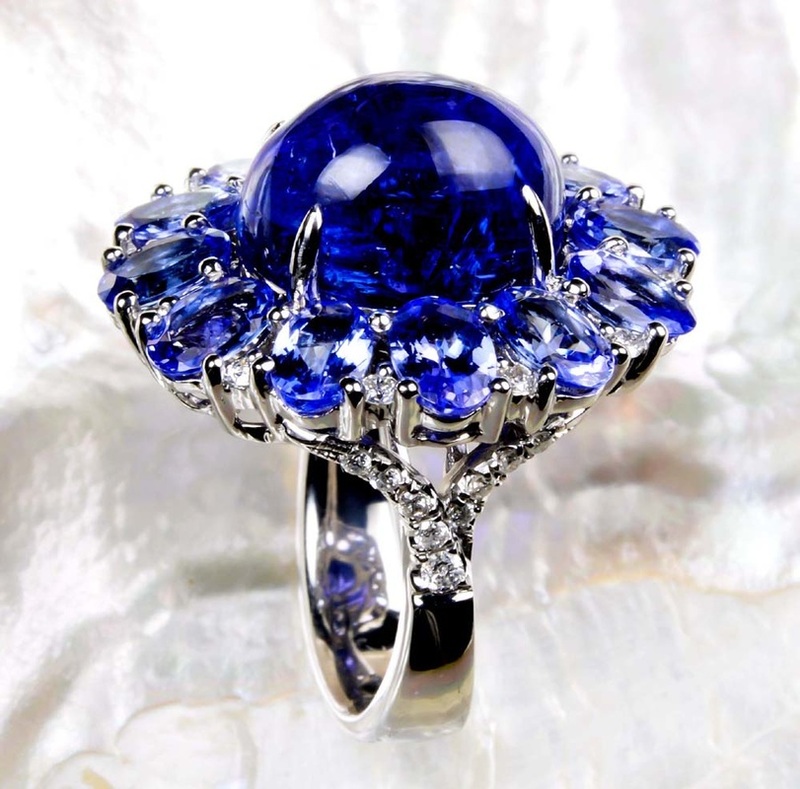 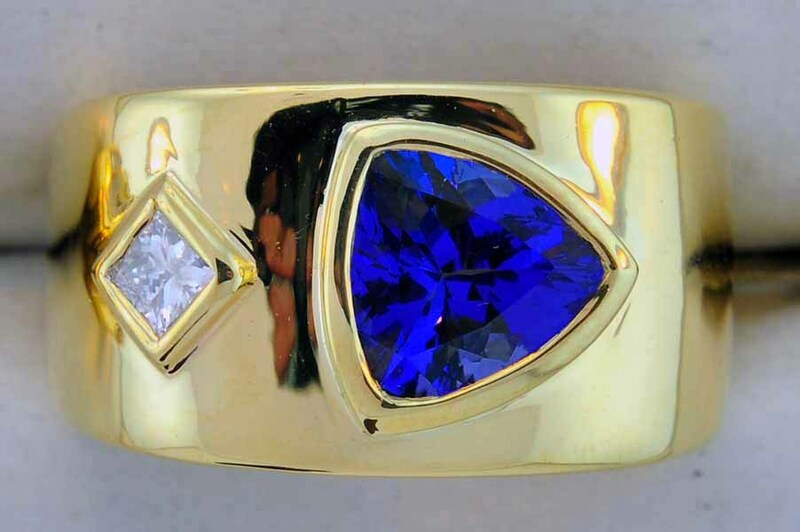 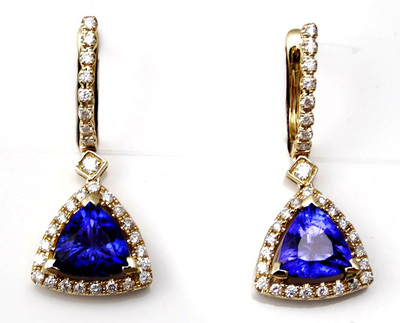 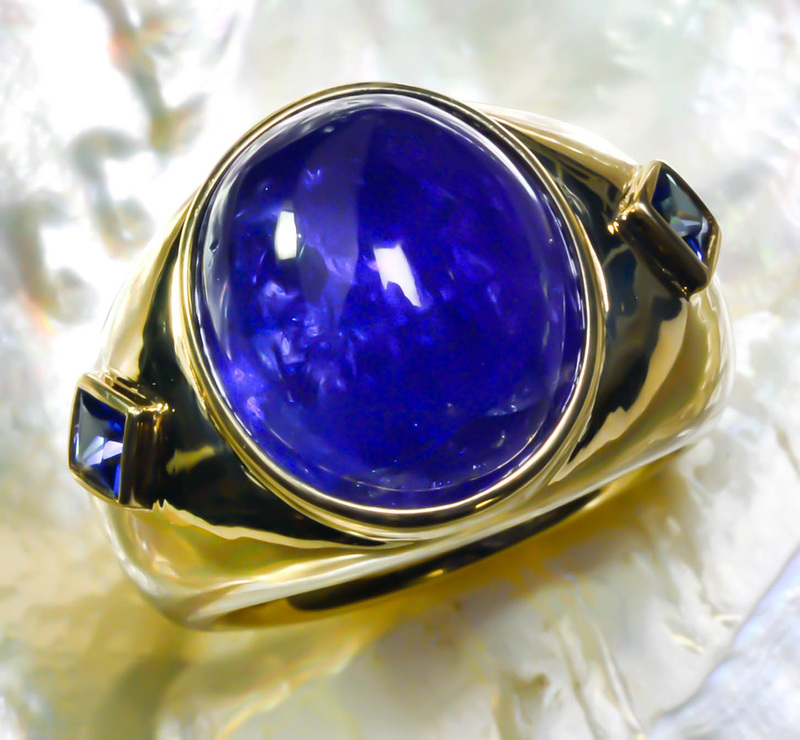 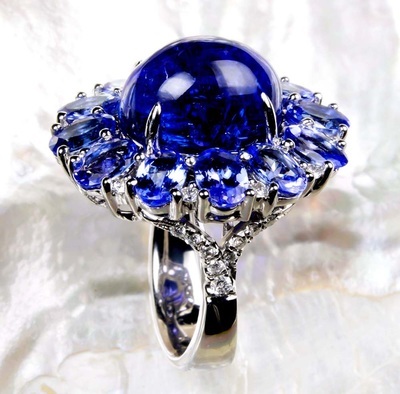 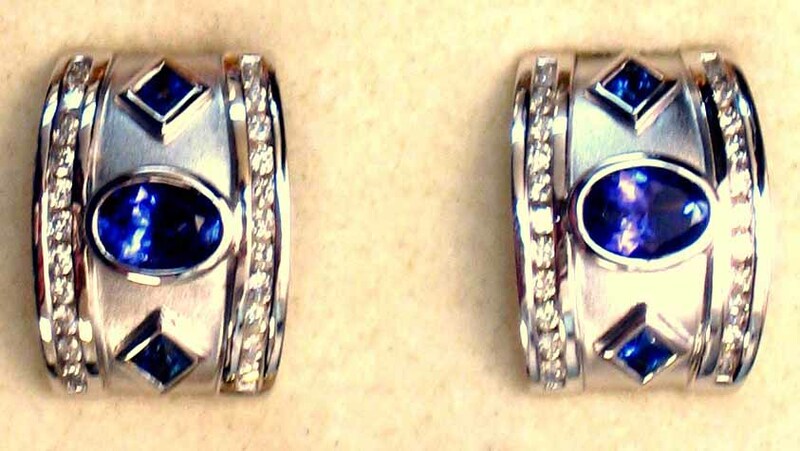 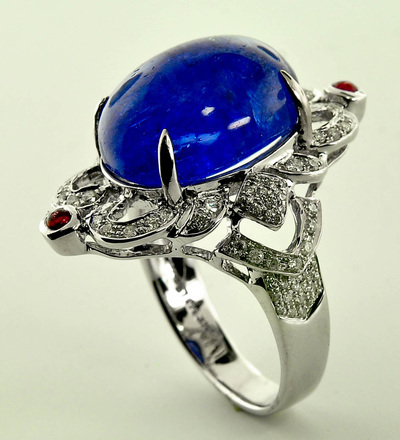 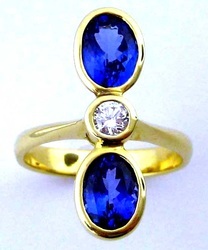 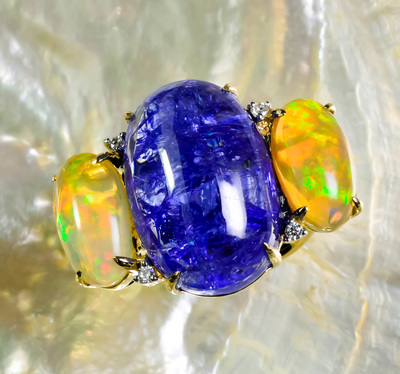 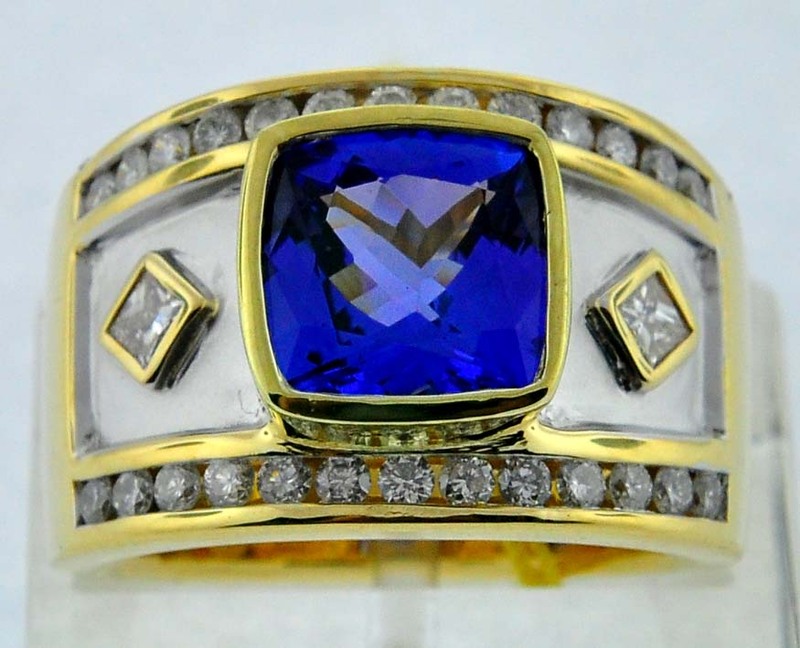 Tanzanites are the alternate birthstone for December, and have a hardness of 6.5 on the Mohs scale. 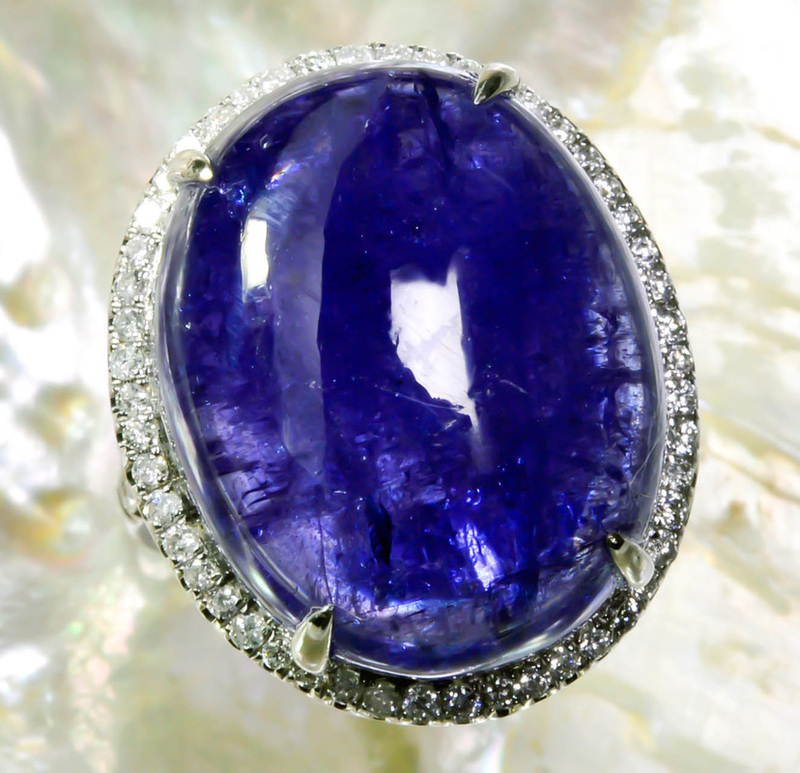 This gem is usually flawless, meaning it should be free from inclusions visible to the naked eye. 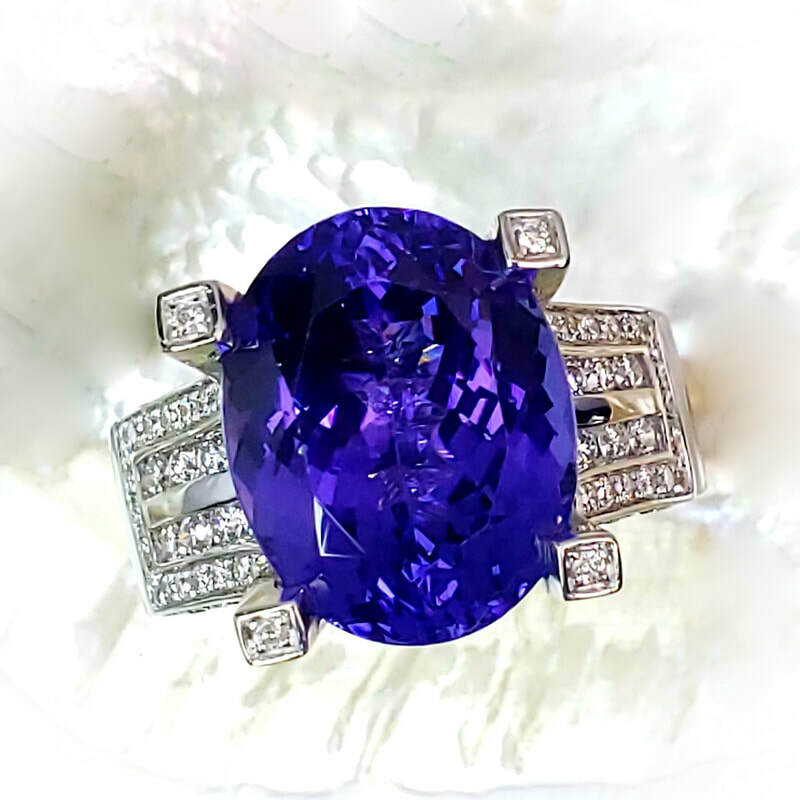 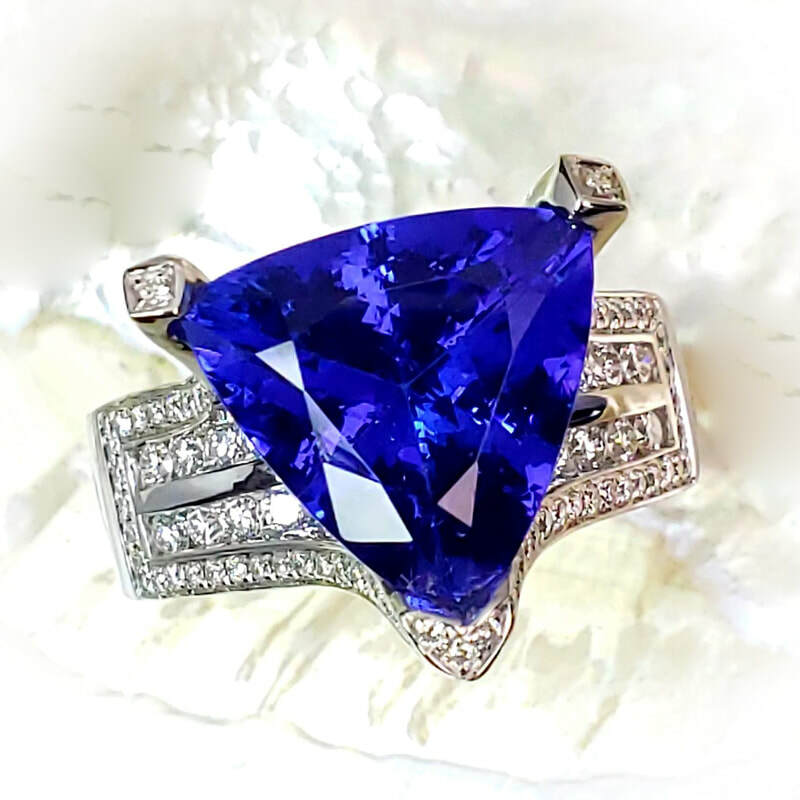 Tanzanites come from only 1 location in the entire world, in the foothills of Mount Kilimajaro, in the country of Tanzania in Africa. *SOLD* P1081 This unique Tanzanite pendant looks perfect paired with an omega necklace. 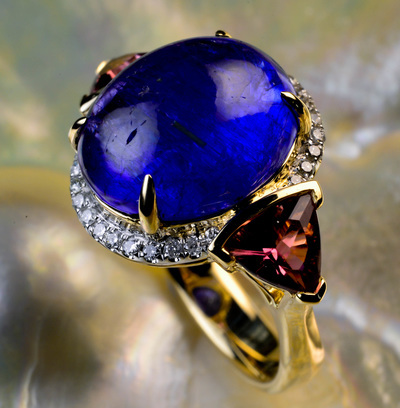 It is set with diamonds and pink tourmaline.